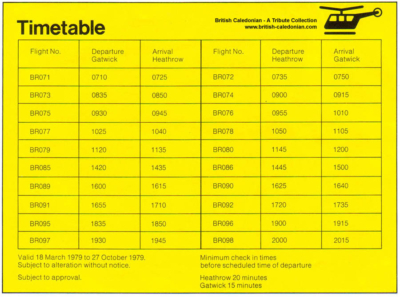 The old British Airways Helicopters fleet is still operating! The old British Airways Helicopters fleet is still alive and well! 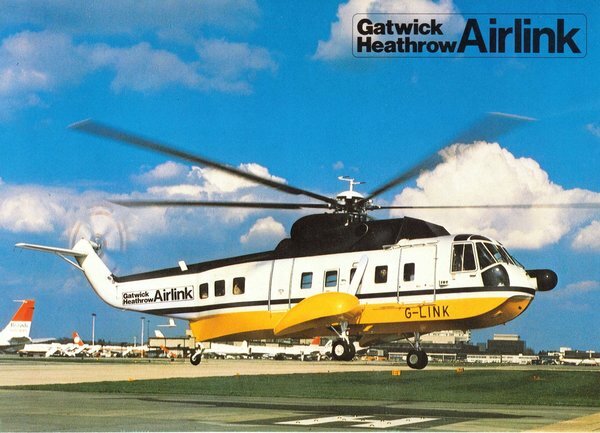 Some of our readers may be old enough to remember British Airways Helicopters and the Airlink service between Heathrow and Gatwick. For those who aren’t, it may come as a surprise that British Airways even owned helicopters at one point. The idea of taking a helicopter between Heathrow and Gatwick to catch your connecting flight also seems, to me at least, an odd one. From 1947, British Airways precursor British European Airlines had five helicopters that it used initially for mail services in East Anglia. This expanded rapidly and by the 1950s it was operating a passenger service between various cities including Cardiff, Liverpool, Heathrow, Gatwick, Birmingham and Southampton. 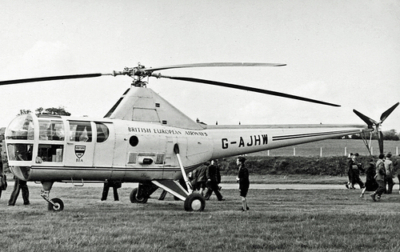 In the early 1960s the division was renamed BEA Helicopters and operated shuttle services to the Isles of Scilly and, in 1965, it began offshore oil support flights. 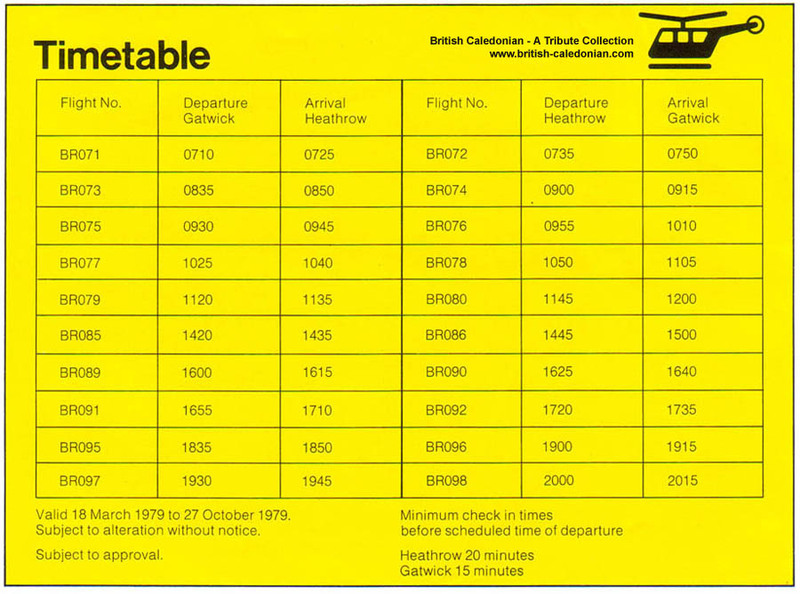 In 1974 British European Airlines became British Airways and the helicopter division became British Airways Helicopters. The Chinooks were used for offshore oil support flights. In 1986 one flight ended in tragedy when, returning from the Brent oil field, the forward transmission failed and de-synchronised the two rotors causing a collision. 45 people lost their lives whilst only two survived. Not long after the accident the helicopter division was sold off and renamed British International Helicopters, which phased out the Chinooks and sold them to an American company, Columbia. All this is relevant because Flightglobal is reporting that the old Chinooks could be making a “surprise return” to British operations following the planned merger between Bristow Group and Columbia. 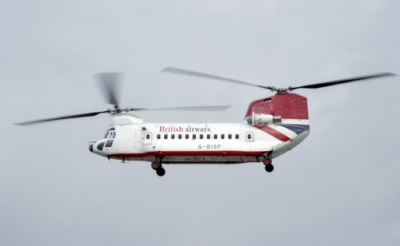 Bristow has said that it sees more potential for the Chinooks outside the US. That said, don’t plan on Bristow restarting scheduled services from Cardiff or Southampton at any point soon …. As so many have said a very interesting article and the memories come flooding back. Whist I don’t have a solution, I have often thought that BA are missing a trick in the south of England. I suspect the airspace is too congested to return to a helicopter service. I live just outside Southampton and the compactness of Southampton airport makes it my preferred airport. However Southampton doesn’t have any representation since FlyBe took over their regional flights. This does mean that especially for long haul flights the preferred option can be to connect through Amsterdam or Paris, whilst Heathrow is not too far you often have to choose between driving or National Express to get there, both of which have their problems. Does New York still have the helicopter that used to fly from, I think, Laguardia to JFK? Might be a cash bar again if we go for 250+ as the sponsorship money we’d need otherwise gets a bit too chunky for comfort. Happy day’s! And good to hear from you too Bonny. Pushp still around too – organizing golf for former crews. I did wonder if any of the old crews would see my note, they were happy days indeed. Good old bushy, so glad to hear he is well. Have a good Christmas Andy and take care. I am having a nightmare with airlines screwing me over !! This time it is Garuda…..AGAIN ! I thought I was done with their foolishness. They axe the LHR-CGK route which screws myself and my two elderly parents’ business class flights to BBK. We had a layover in each direction in Jakarta as we don’t want too much flying in one day. I manage to get them to put us on Cathay Pacific. I manage to get them to honour our need for a layover (now in HKG) in each direction and make plans accordingly (such as suites at the Intercontinental Hong Kong – at our expense obviouisly not Garuda’s). All fine for several months. NOW with just 2 weeks until our flight & first hotel stay in HKG, hotel bookings in BKK and car rentals all sorted they email me today saying “Good news we’ve reinstated our LHR-CGK flights and have moved you back onto your original flights. What the actual f**k is it with Garuda and f*****g off customers ? I don’t want your f*****g flighst anymore. I had to change plans in Jakarta and make new ones in Hong Kong and now you want me to cancel those in HKG and make some more in Jakarta. SORT YOUR S**T OUT GARUDA. AND LEAVE OUR BOOKING WITH CATHAY IN PLACE. Does anyone know if Garuda can change our booking with Cathay without our permission ?? The Cathay service isn’t changing at all so there is no legitimate reason for them to screw with this booking surely. I do not want to lose all the money spent on intercontinental HK suites FFS. I am so annoyed with Garuda right now. Their stupid internal nonsense with left hand not knowing what the right is doing is their problem, they shouldn’t make it mine by constantly flip-flopping effecting my plans !!!!!! I really have had it with airlines right now. So… @james Other than that, you’re not really bothered ? just phone them and tell them that having spent extensive time replanning due to their previous flight change you now find yourself with non-refundable ground bookings in HKG (or wherever) and so you are not agreeing to have your flights moved again. I’m not sure where the law is on this, but I think there is some that is on your side. It turns out they mean that if you want them to they can put you back on your original flight. Their wording could have been better surely !! Hum. Personally I’d keep an eye on your bookings. You don’t want any Garuda staff being too helpful, do you?